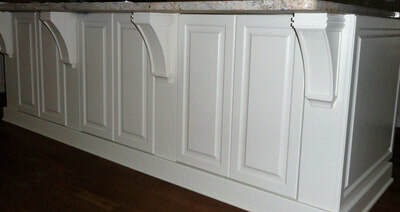 Knot Yet manufacturers a European (full access) style cabinet. 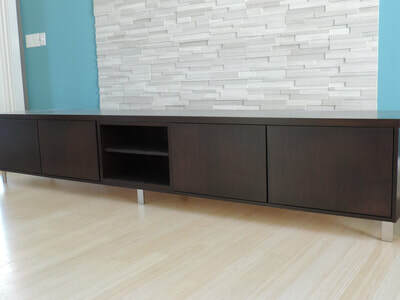 We feel that this style of cabinet is more versaile for our customers. 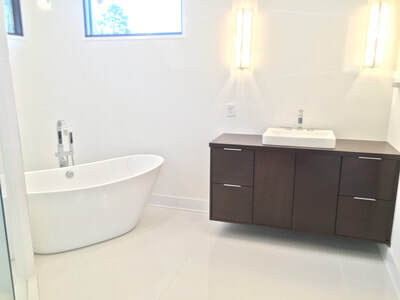 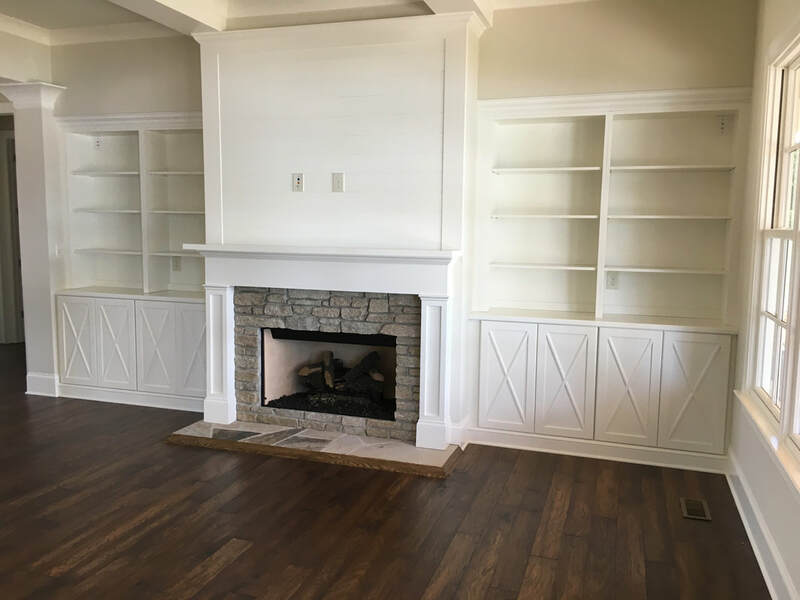 You can have a sleek contemporary design with clean lines or a more traditonal look with moldings and trims. 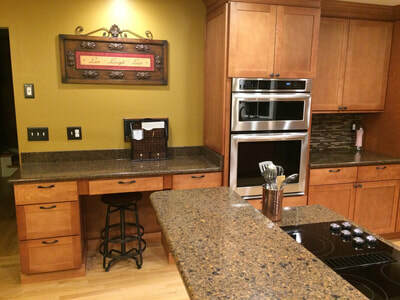 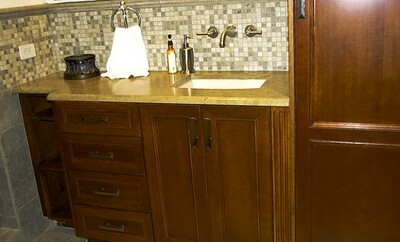 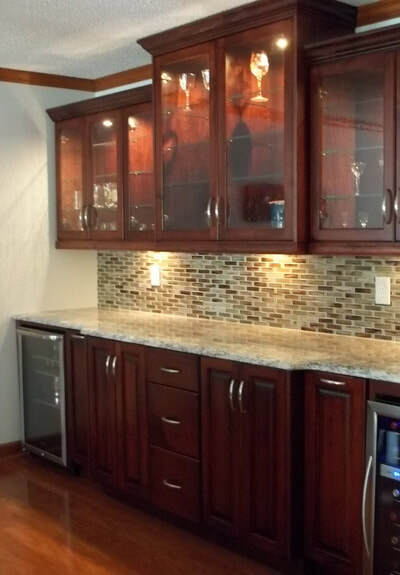 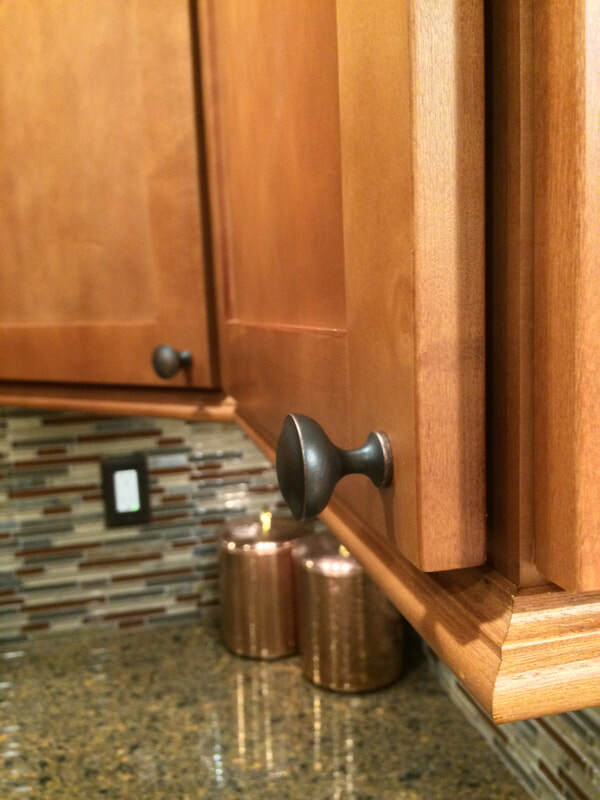 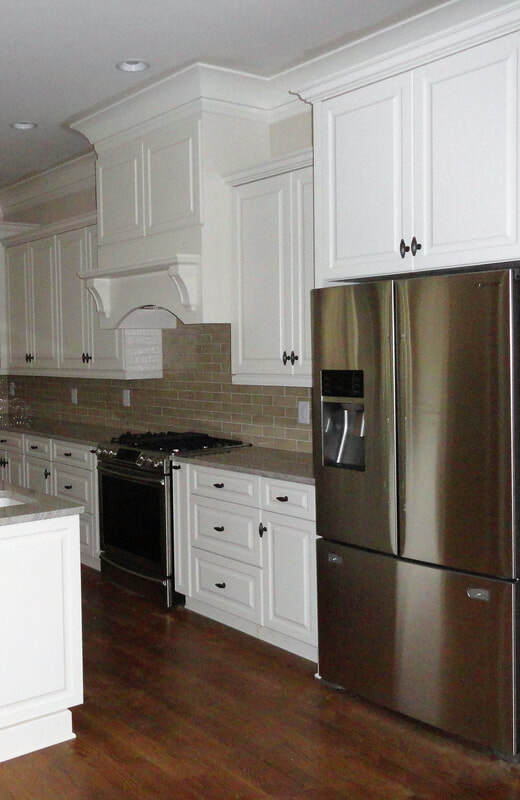 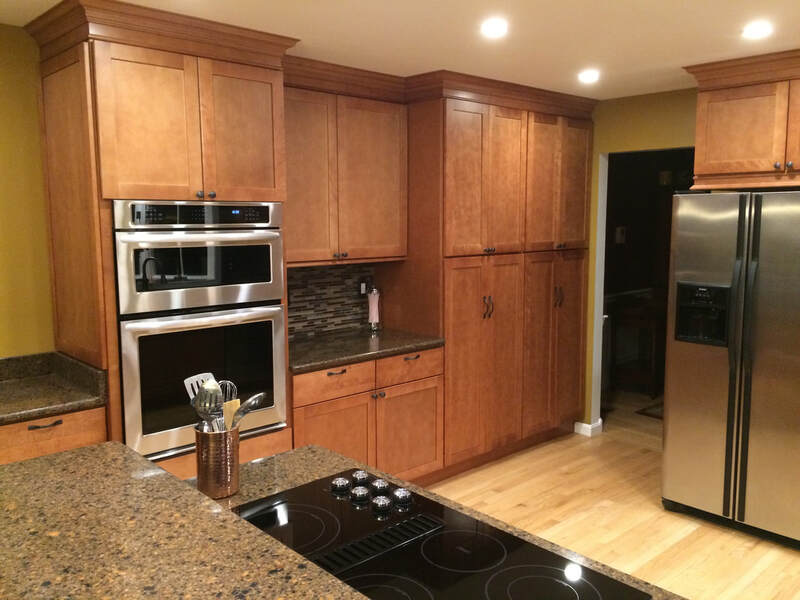 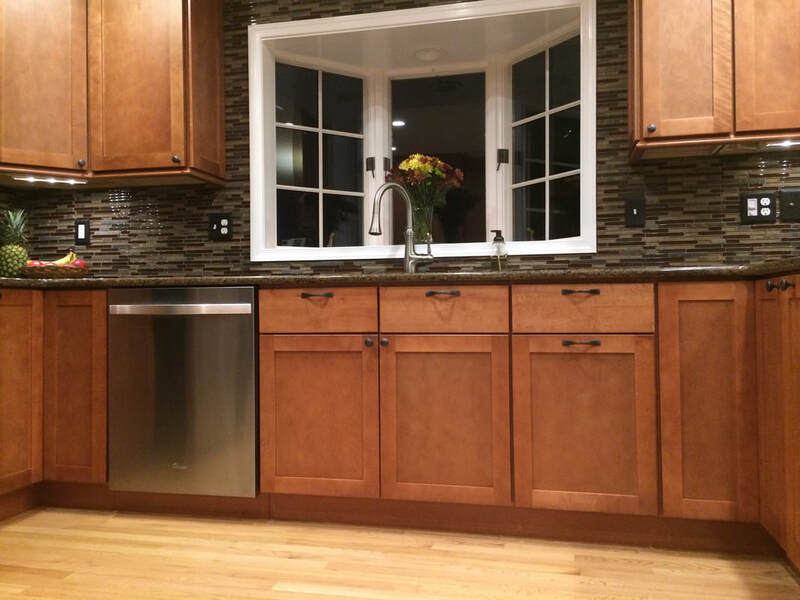 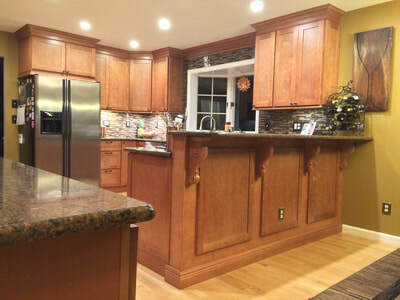 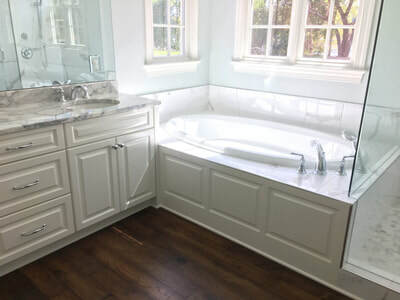 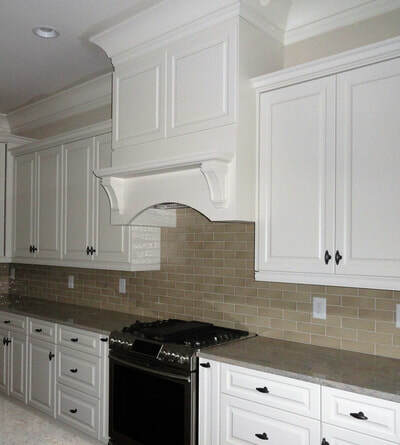 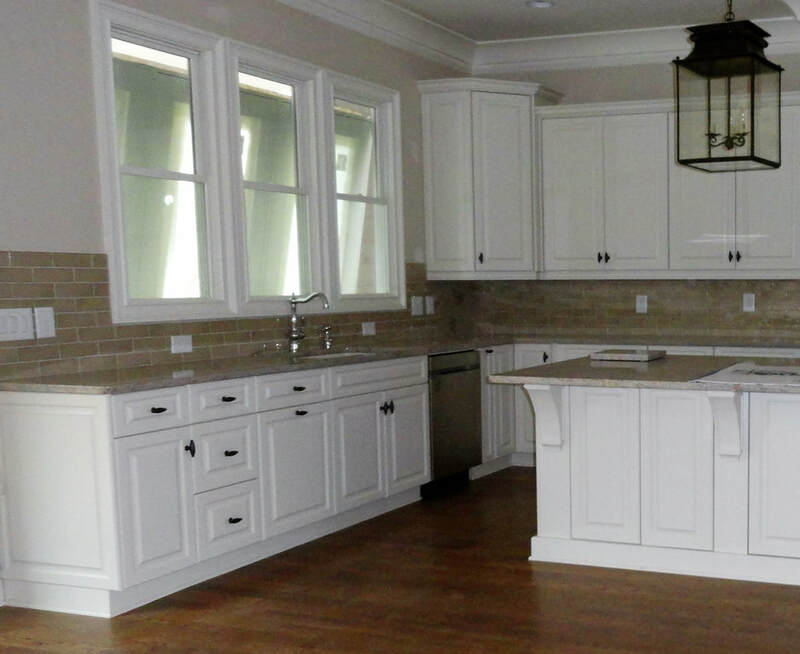 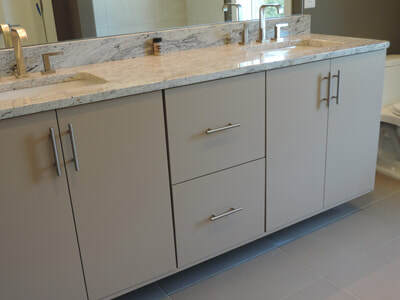 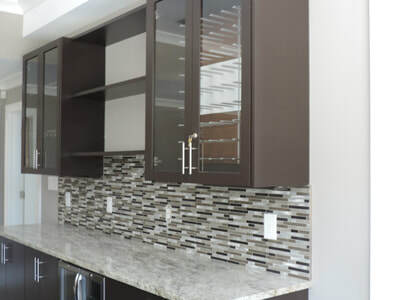 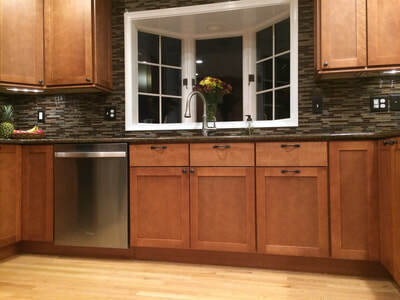 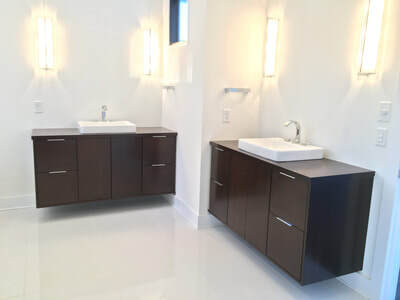 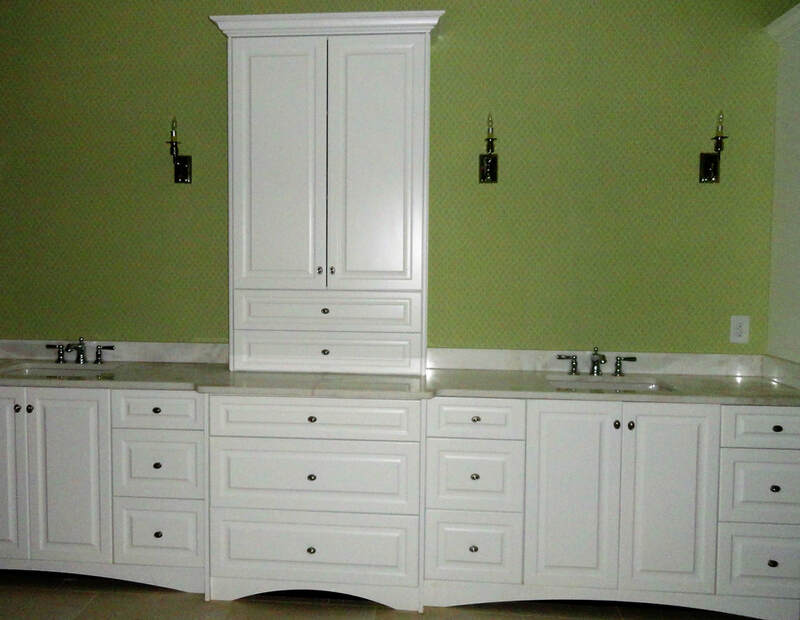 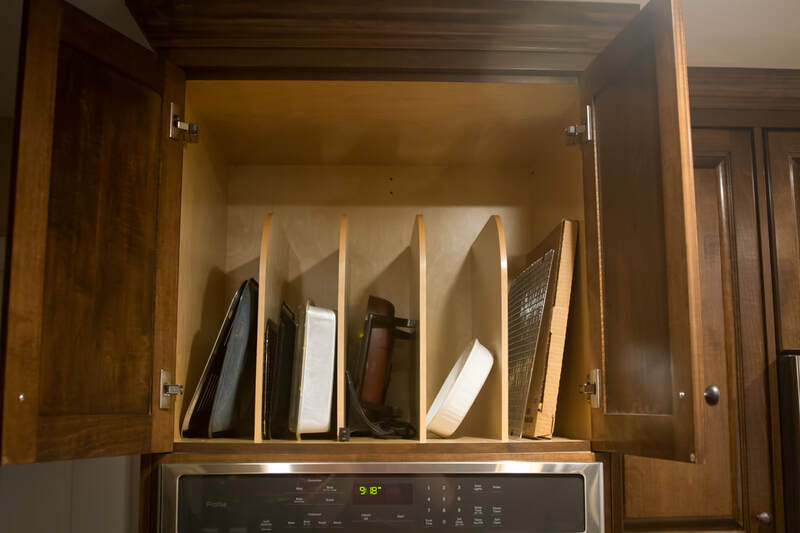 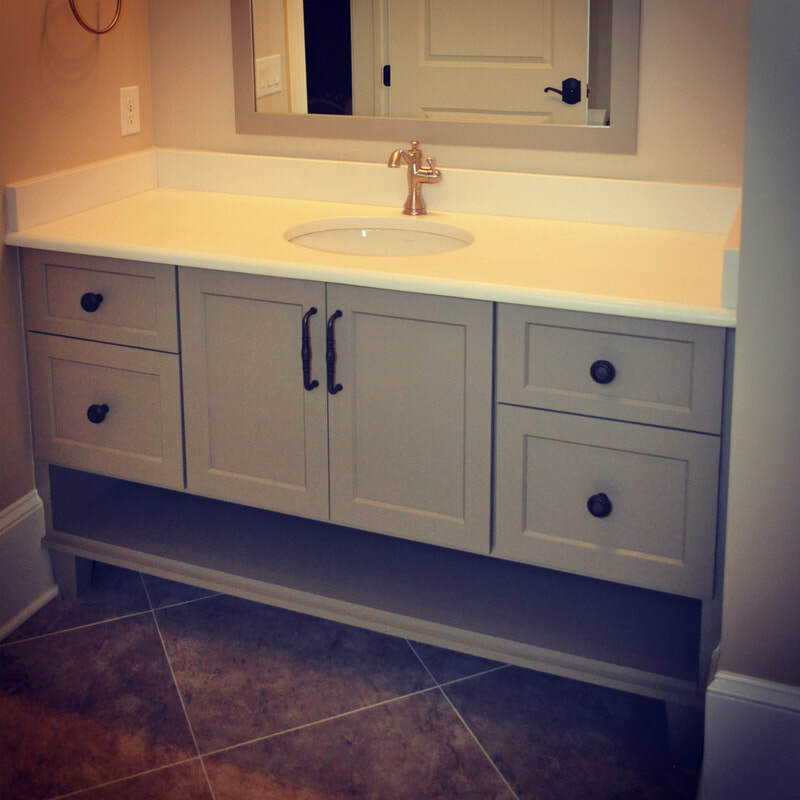 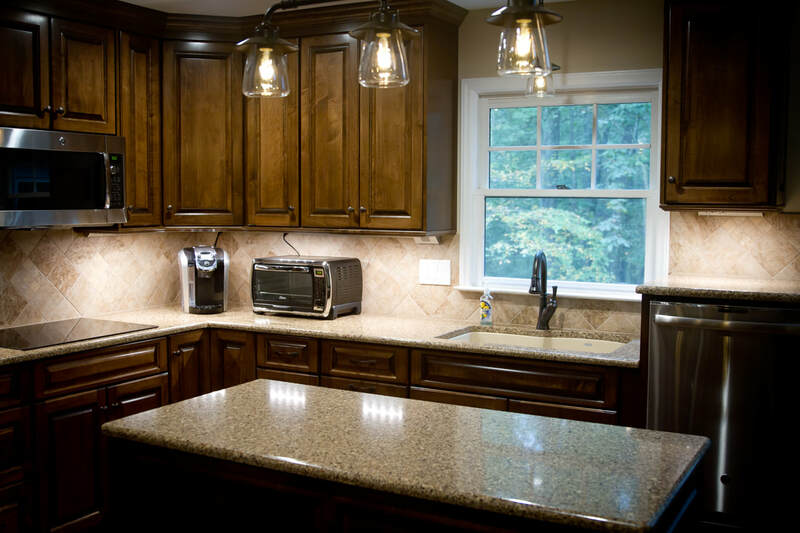 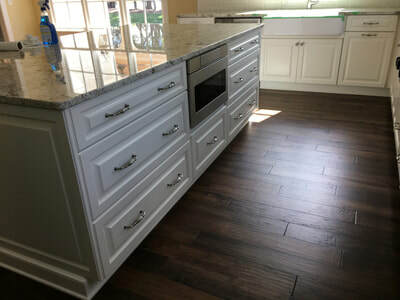 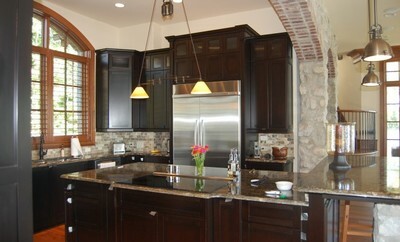 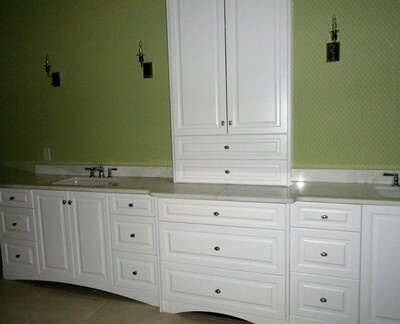 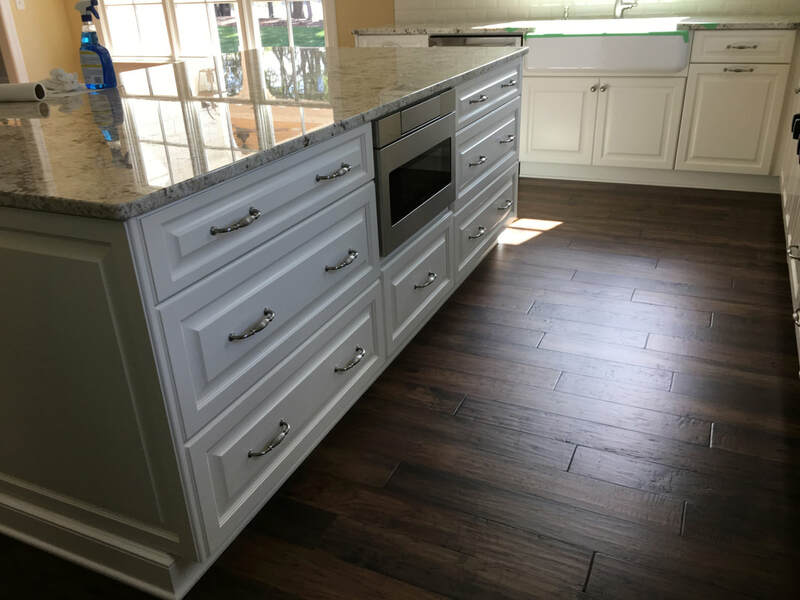 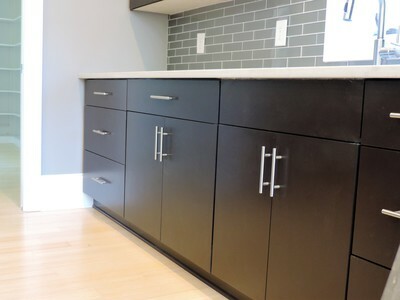 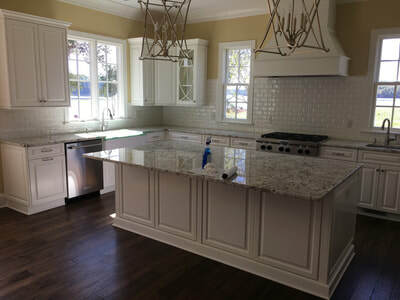 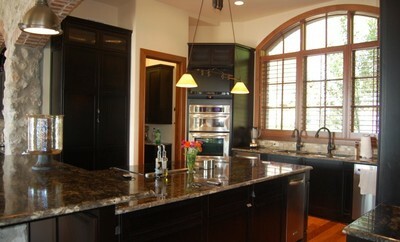 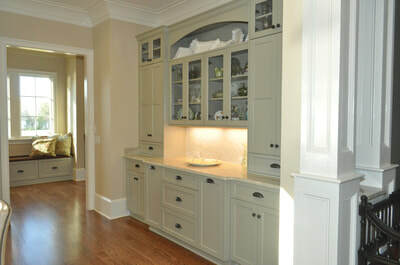 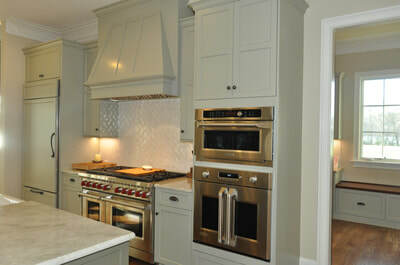 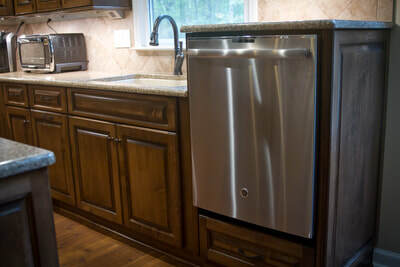 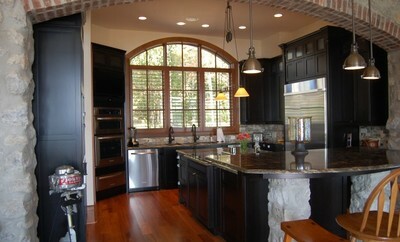 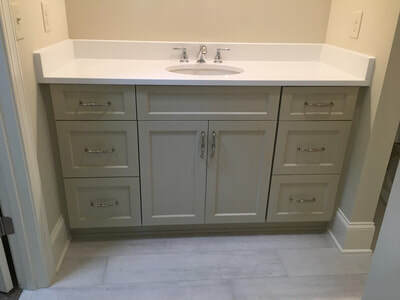 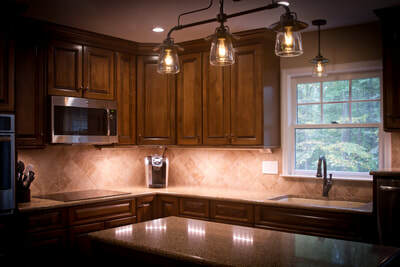 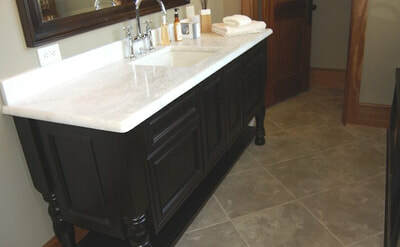 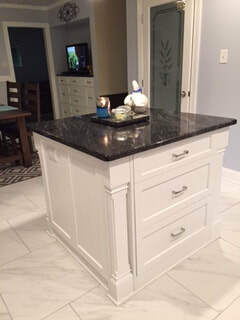 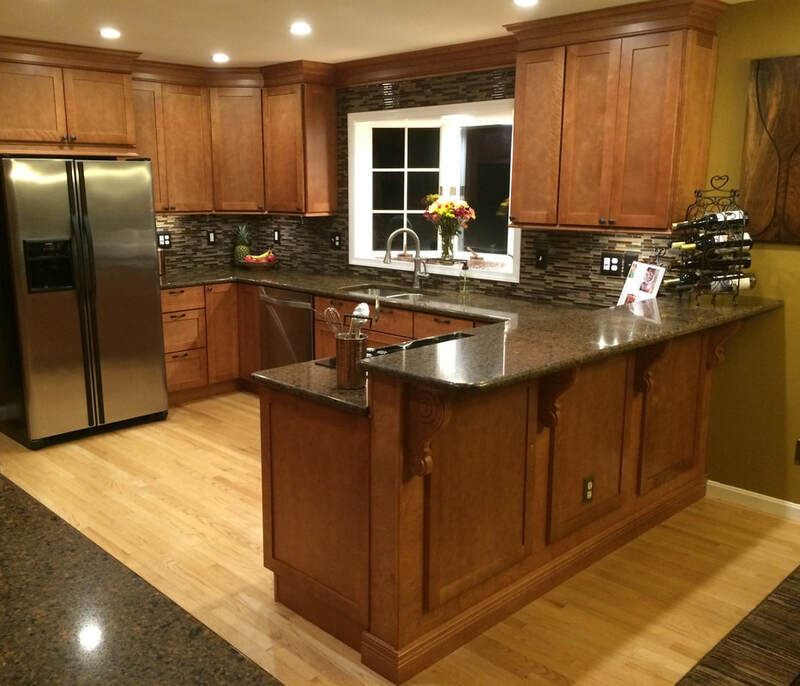 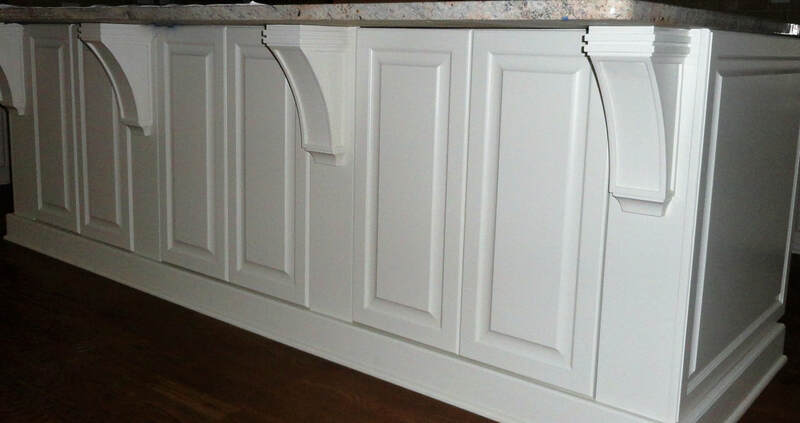 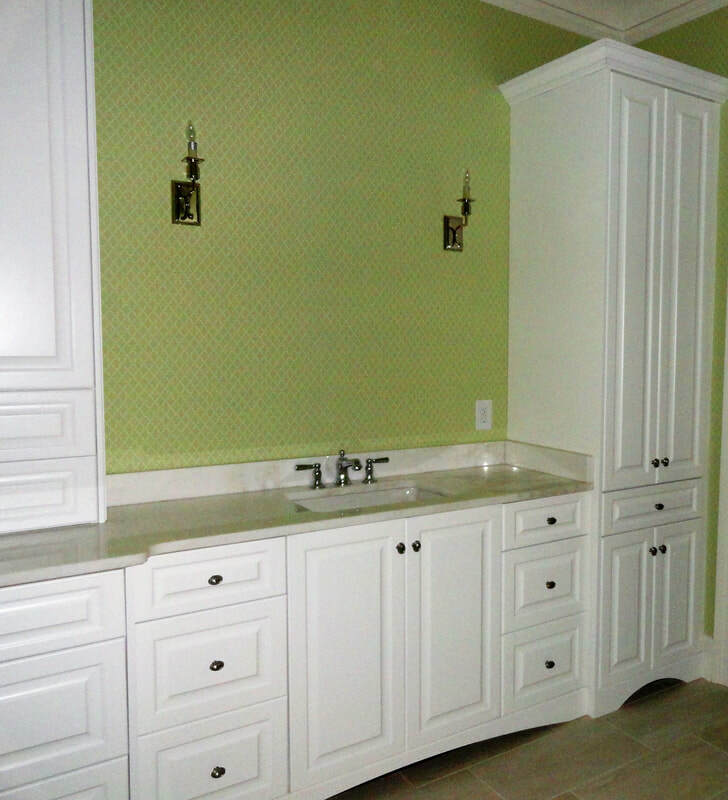 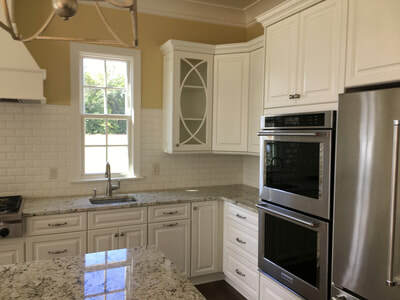 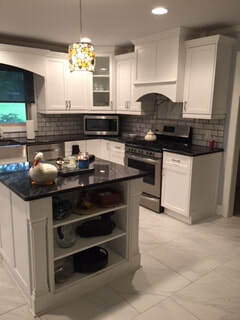 This style of cabinetry also allows for future changes by our customers. 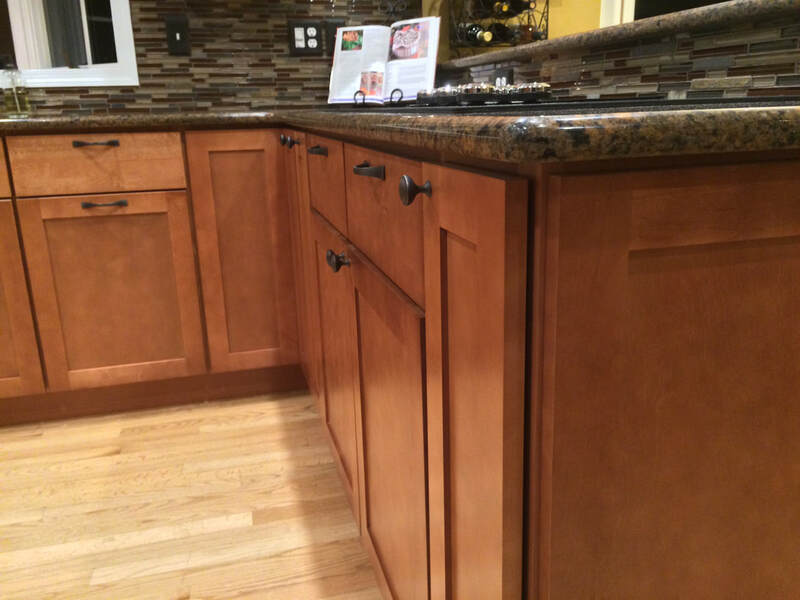 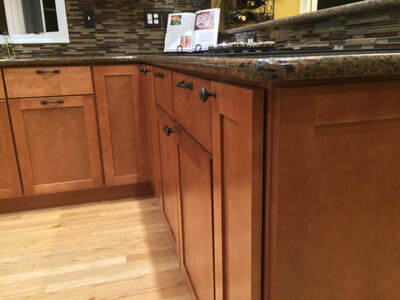 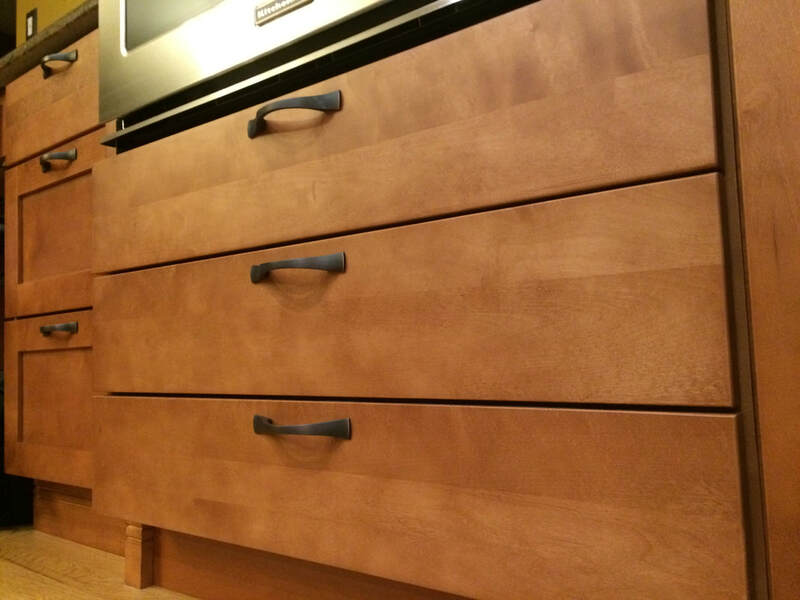 One can easily change the exterior color of the cabinets by removing and refinishing the doors and drawer fronts. 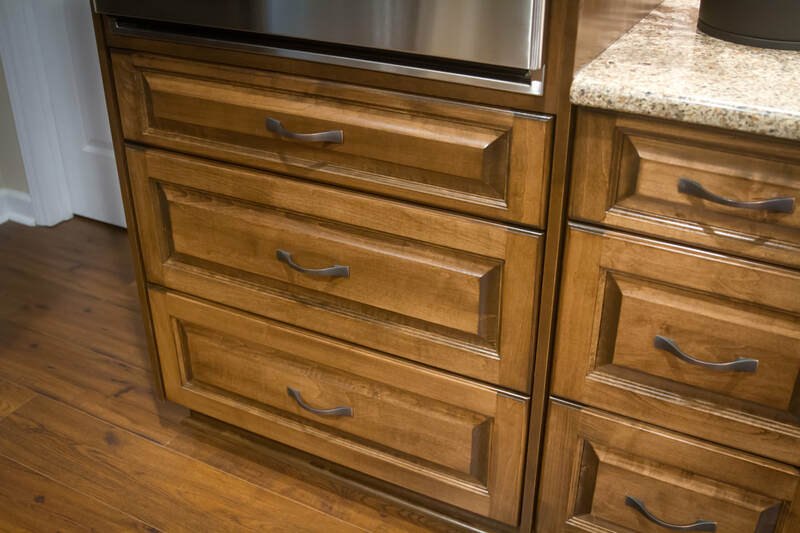 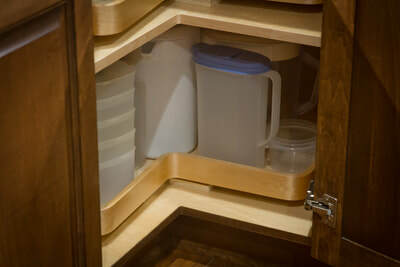 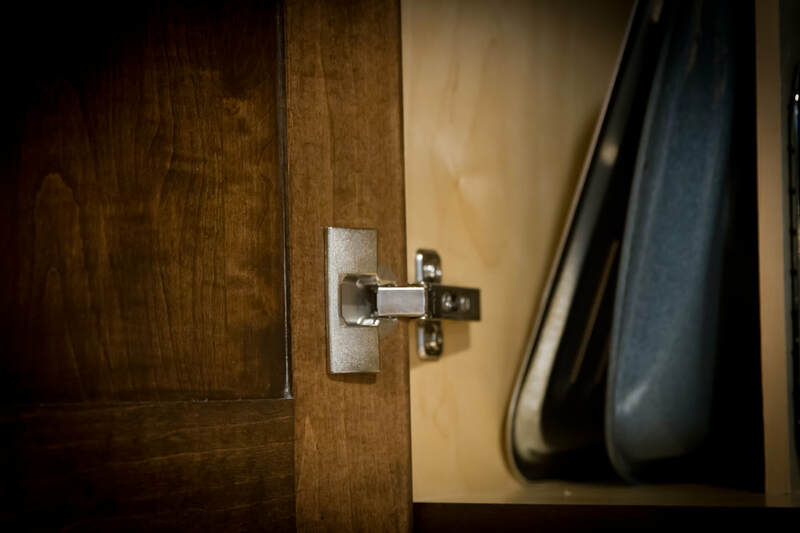 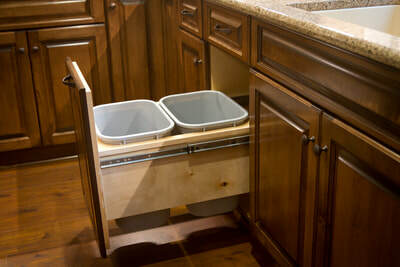 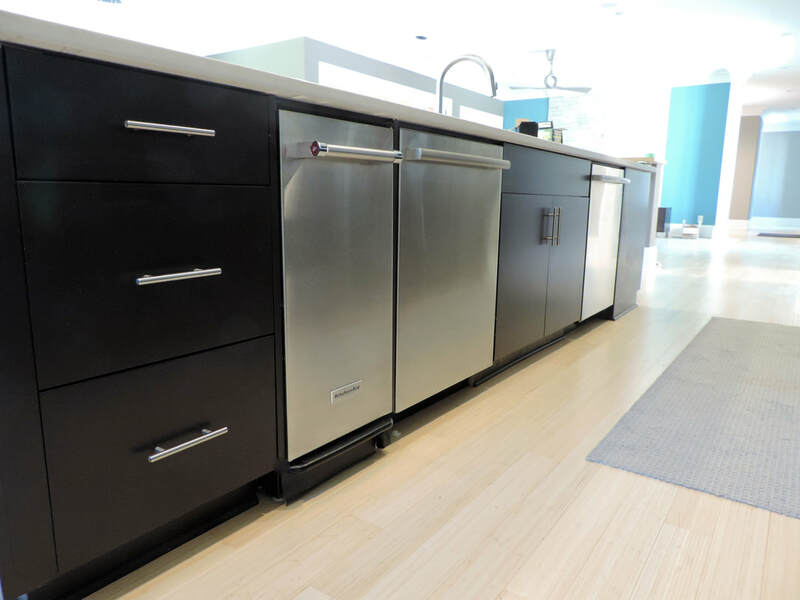 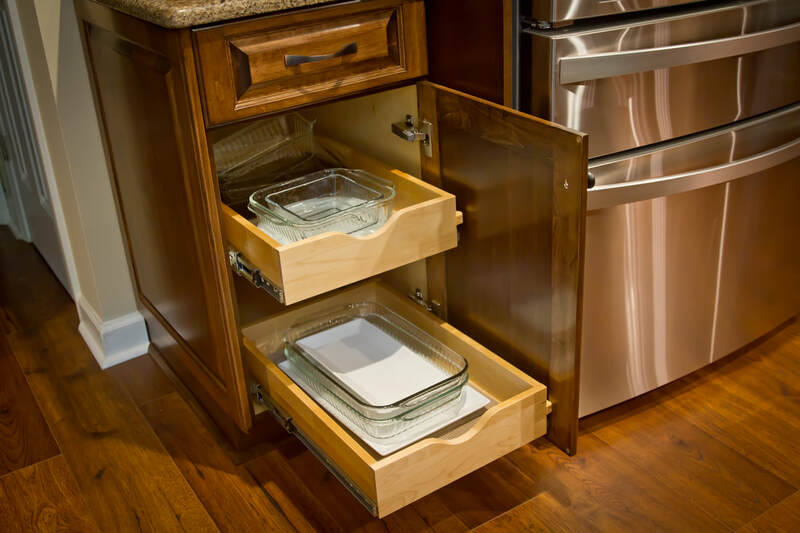 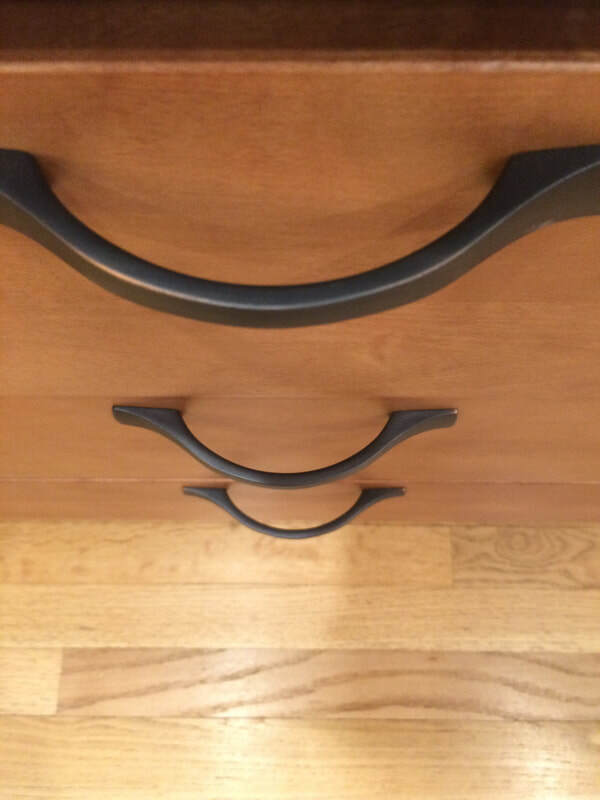 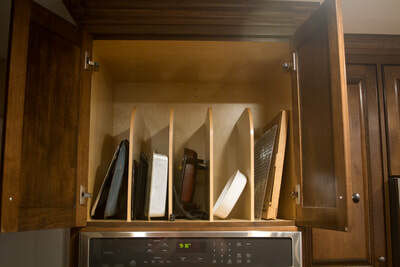 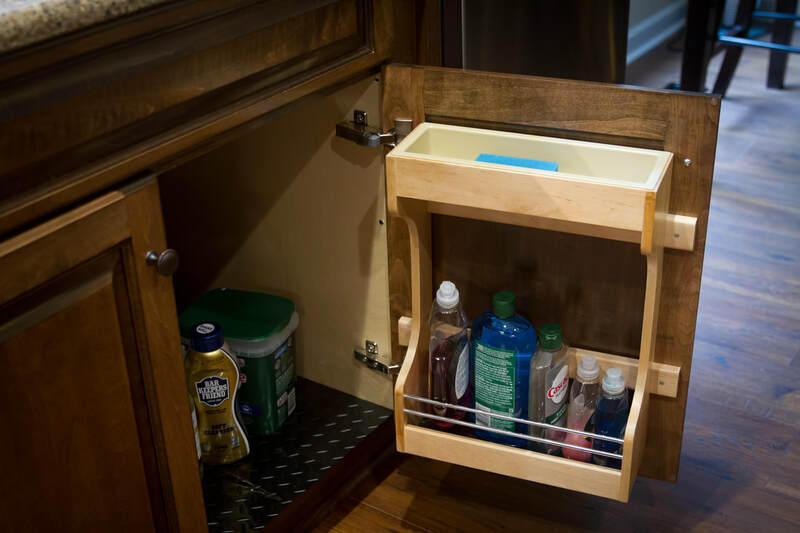 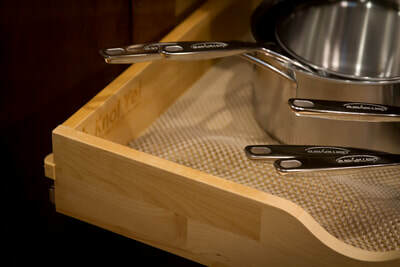 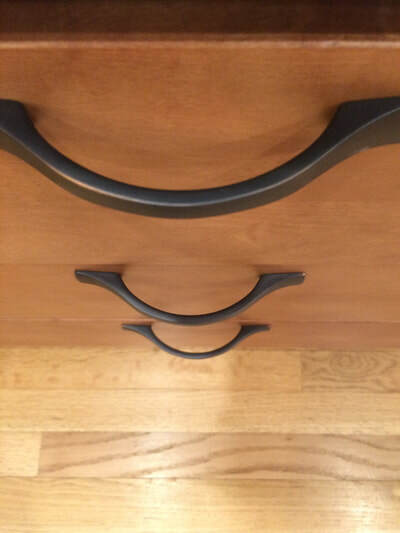 Or, our clients can replace the drawer fronts and doors all together if they would like a fresh look in the future. 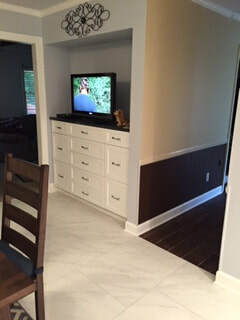 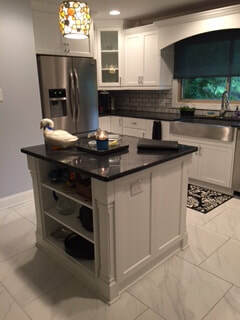 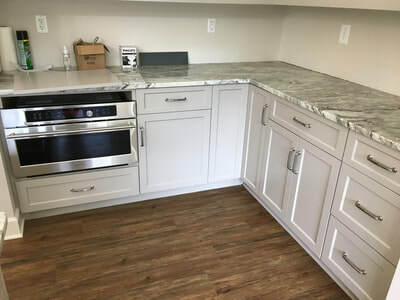 There are no stiles and rails on the cabinets to refinish. 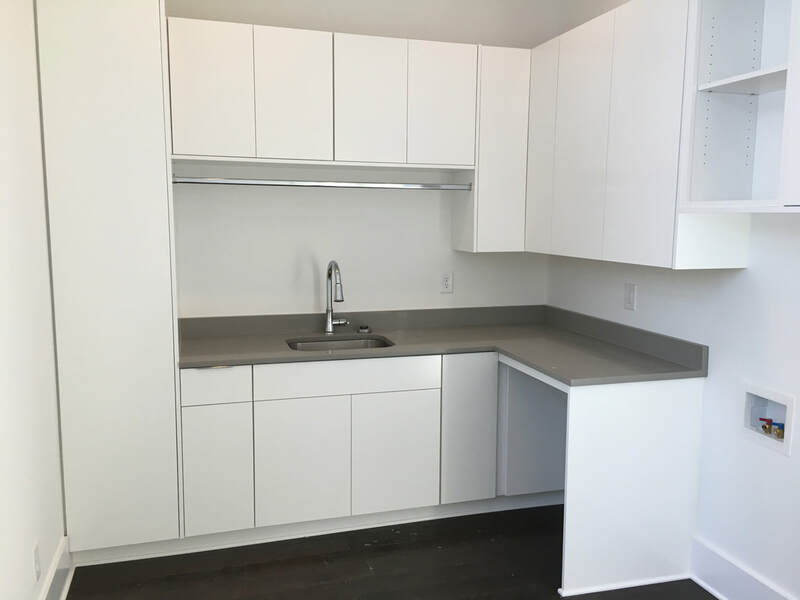 This type of change can be made off-site and not in your residence. Our experienced designers take the time to understand your needs and wants. 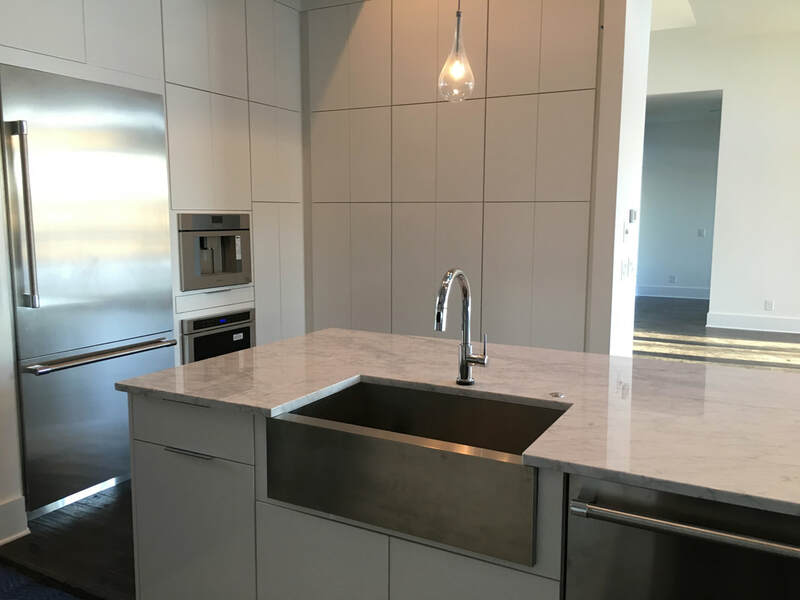 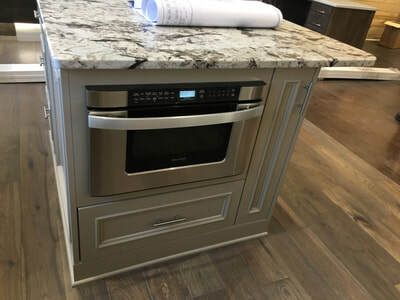 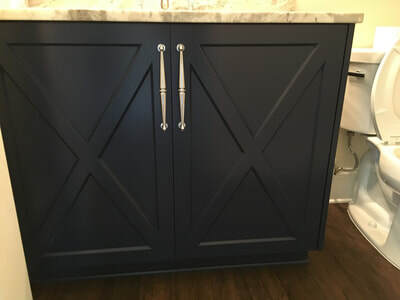 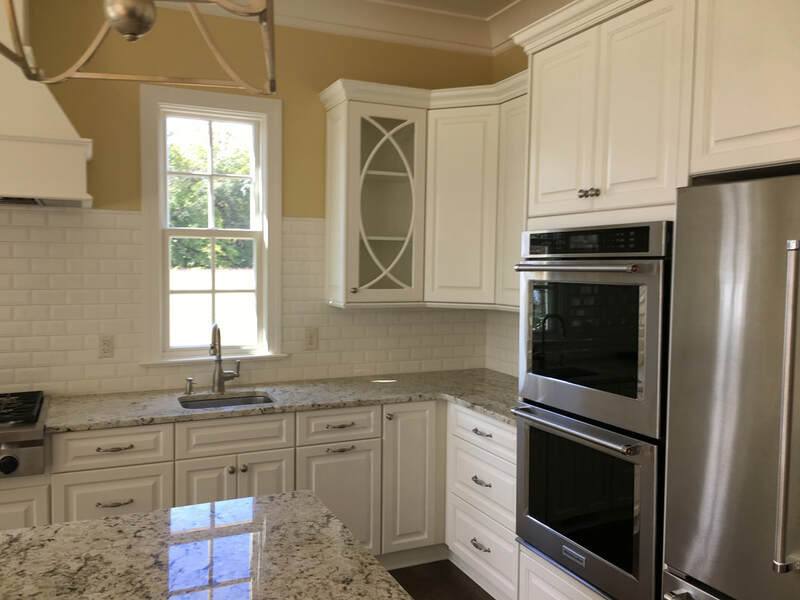 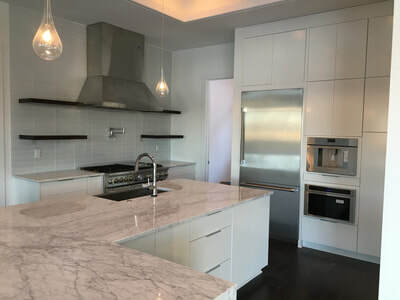 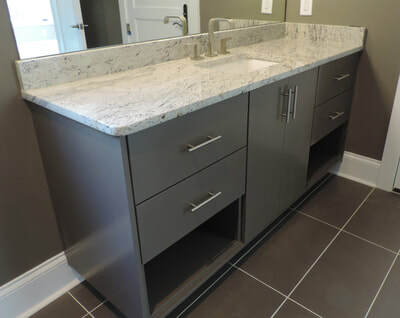 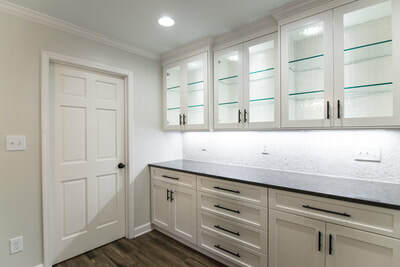 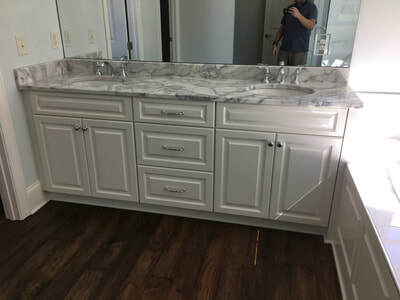 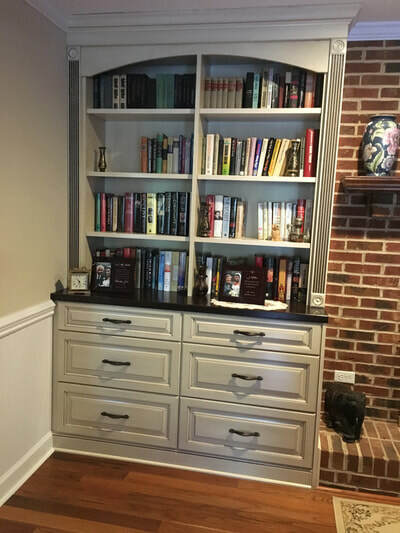 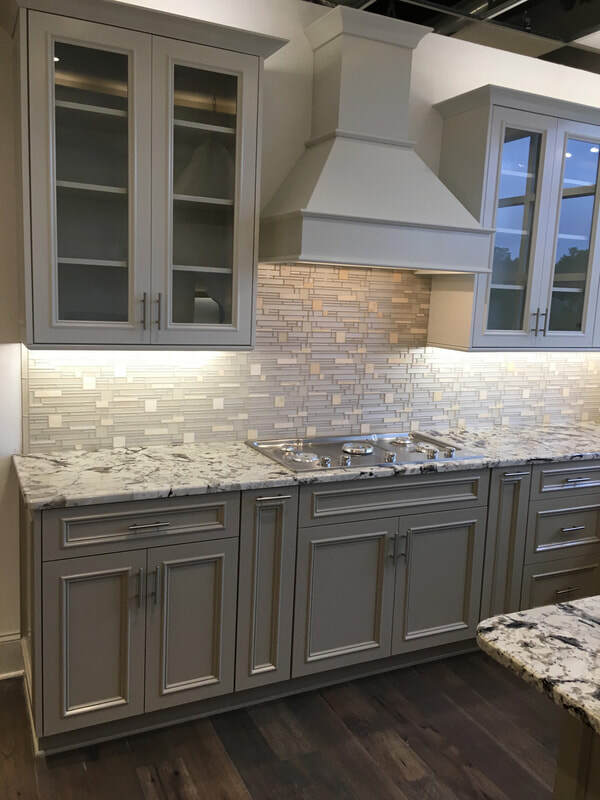 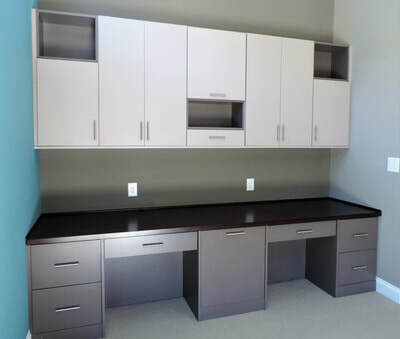 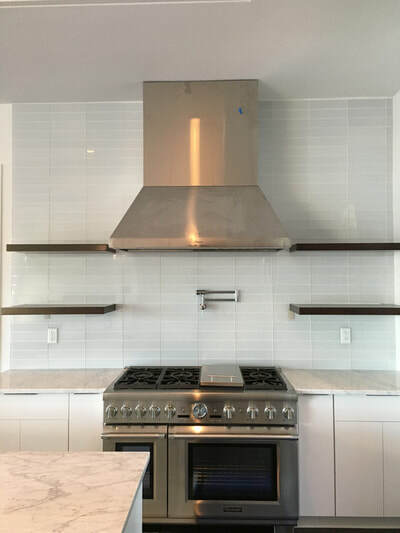 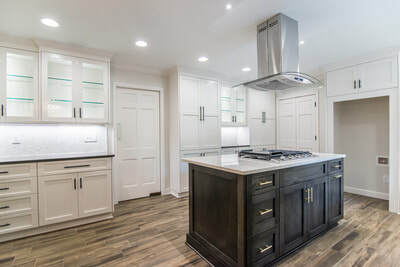 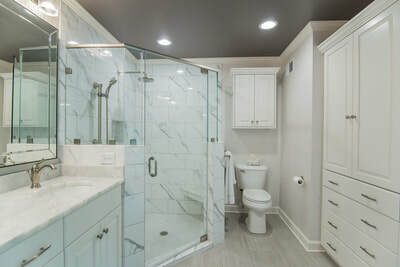 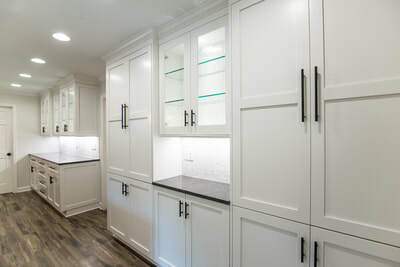 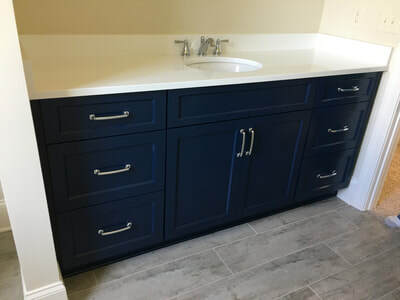 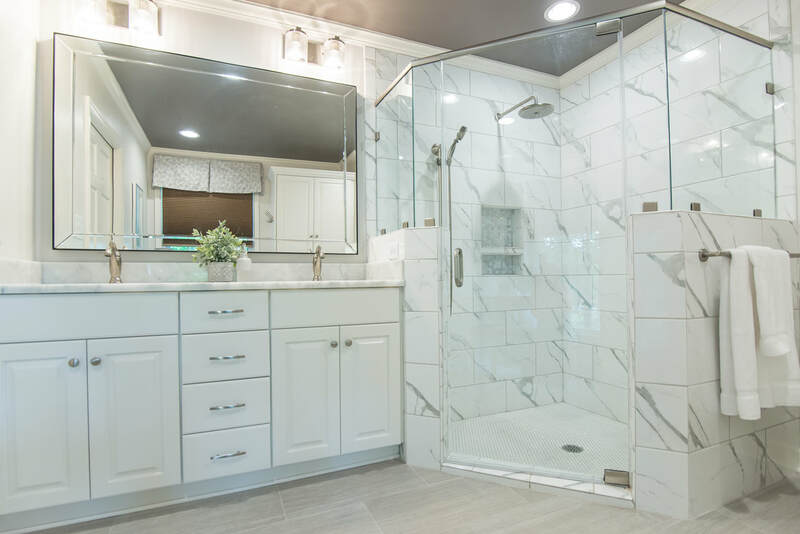 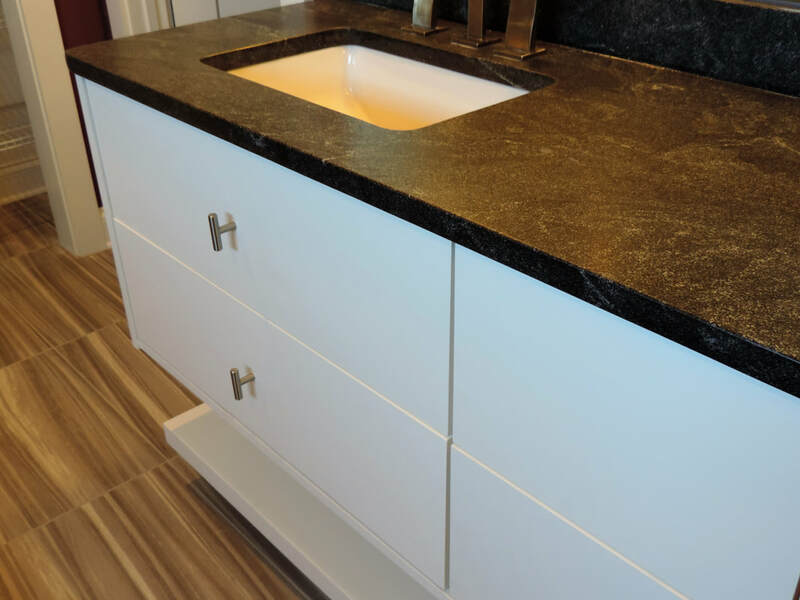 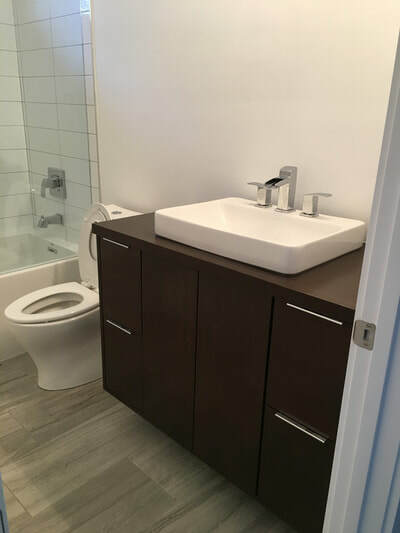 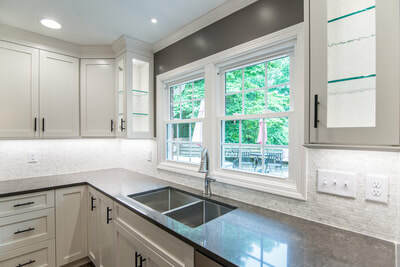 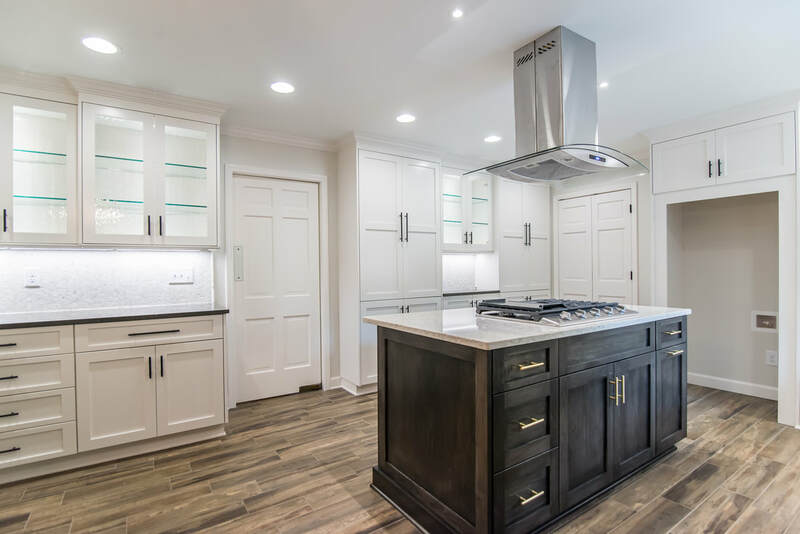 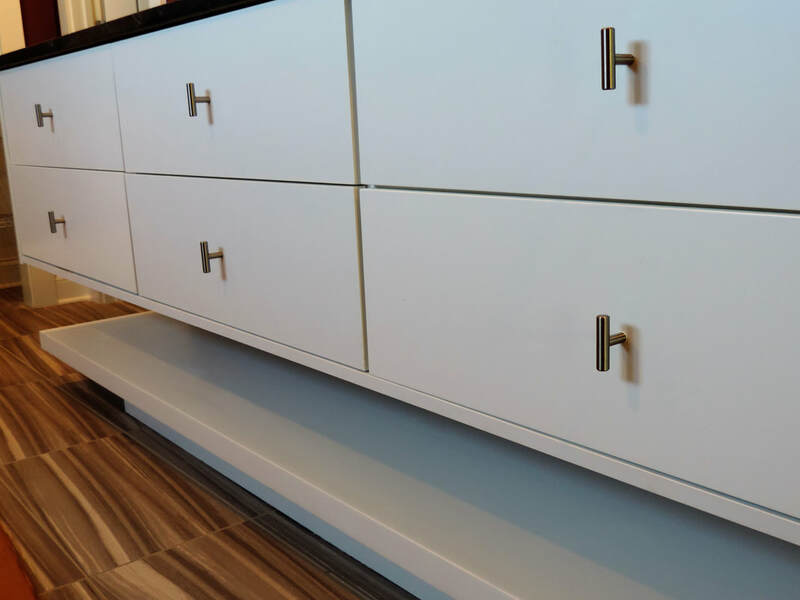 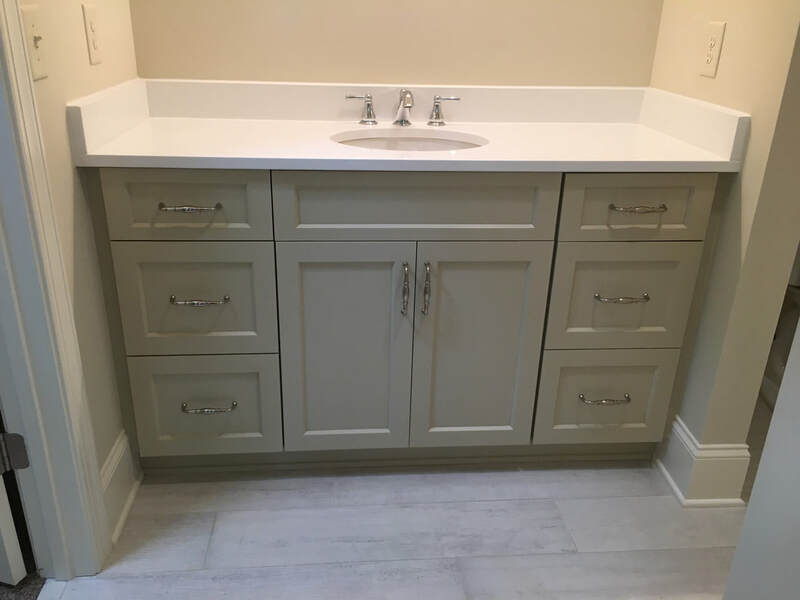 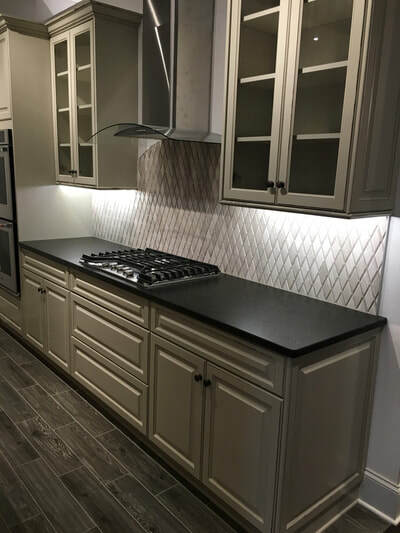 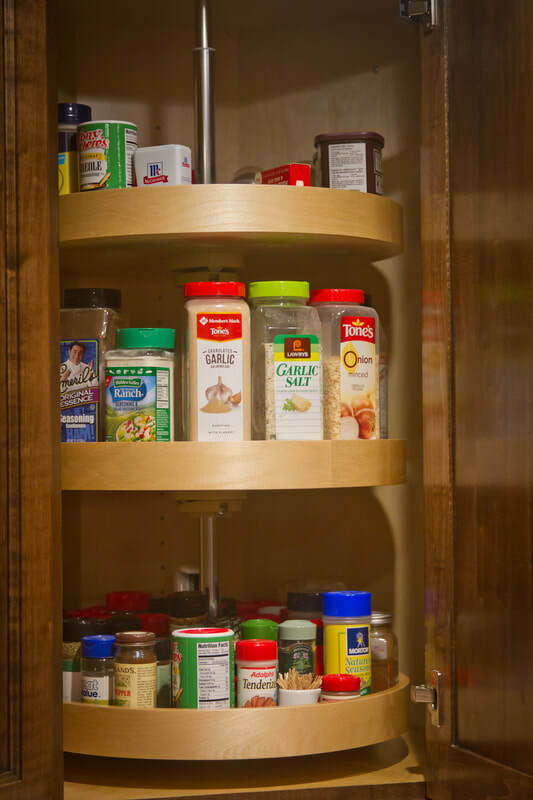 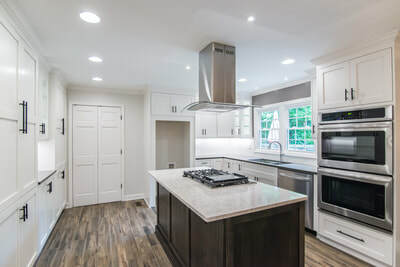 Taking into consideration your specific residence and personal tastes, they will work closely with you to create the perfect cabinet design that will really “pop” in your home! 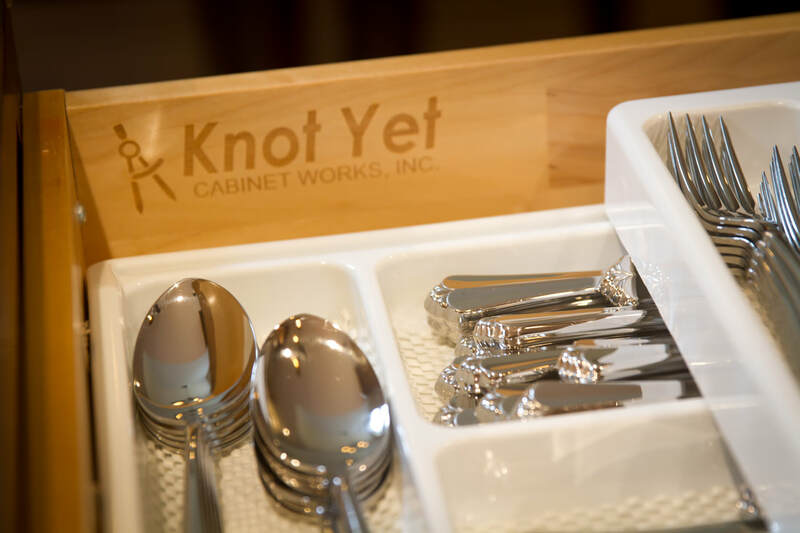 Using the finest materials, hand-crafting techniques, and on-site hand-finishing, our craftsmen and artisans will bring your design to life. 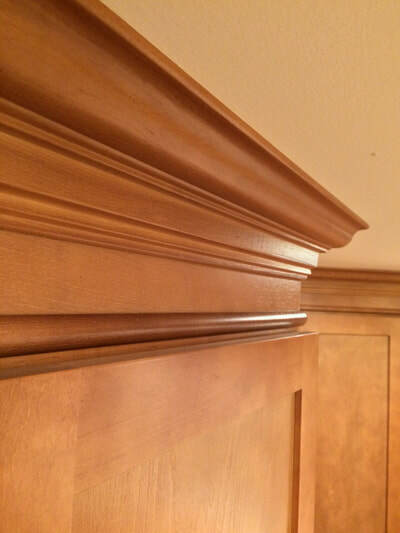 And our installers will ensure the perfect fit in your home. 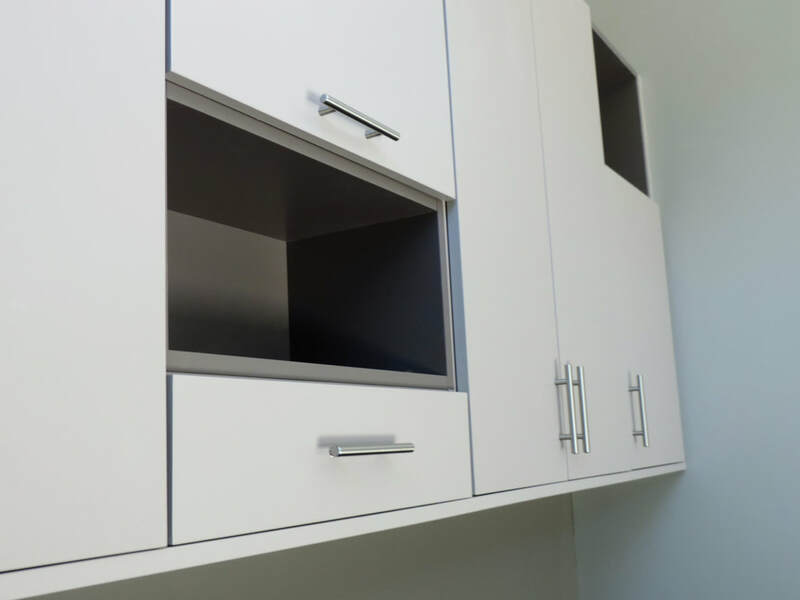 Our standard residential cabinet box is made from 3/4” prefinished plywood. 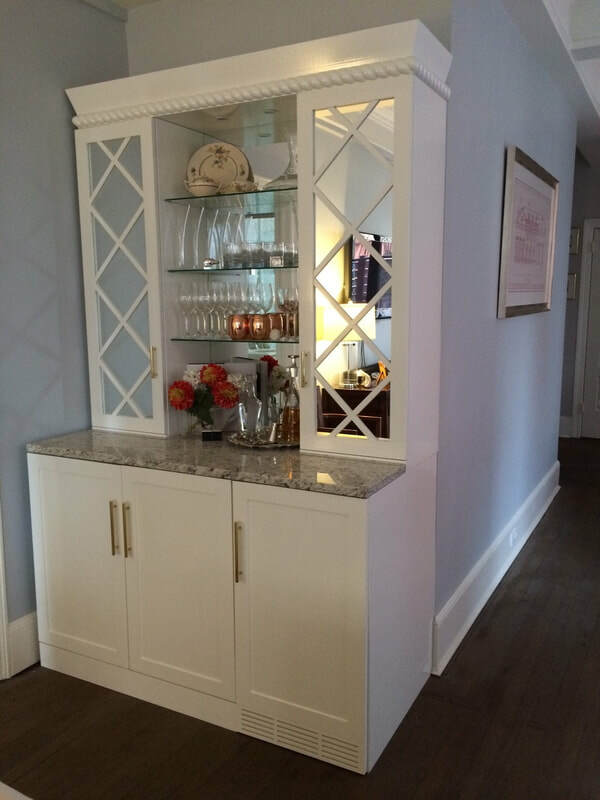 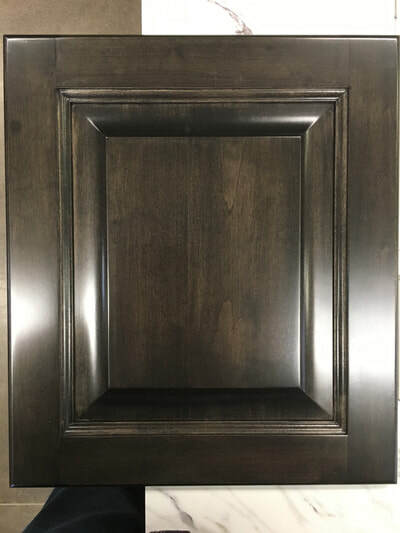 All open or glass door cabinet interiors will match the exterior finish of the cabinet. 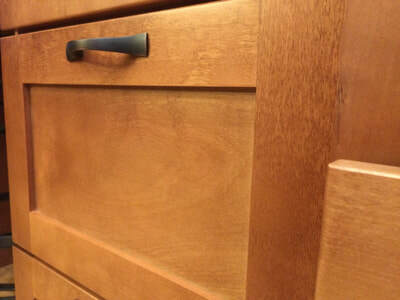 The exterior can be manufactured in any wood species and the finish selections are unlimited.